The Brazilian legal system, mainly based on codes and legislation, provides for two main categories of civil liability: (1) fault-based liability, based on the culpability theory, in which there must be evidence of the damages suffered, of the occurrence of a faulty act or omission (negligence, imprudence or malpractice) or wilful misconduct, and of the link of causation between the harmful conduct and the damage; and (2) strict liability, based on the risk theory and applied irrespective of the analysis of offender's fault or intention, in which there must be evidence of the act or omission (i.e., evidence of its occurrence, and not of the fault or intention motivating it), the damage allegedly suffered by the party and the link of causation between the conduct and the damage. While fault-based liability is the general rule, pursuant to the Brazilian Civil Code, strict liability applies to cases specified in the law (e.g., consumer rights under Law No. 8,078/1990, environmental matters under Law No. 6,938/81) or when the offender's activity, by its nature, implies inherent risks to third parties (e.g., a carrier of hazardous or flammable substances). The injured party is entitled to a broad scope of claims for damages, divided into two categories: moral damages, related to anguish, pain and suffering, and damage to property, which comprehends not only the compensatory or actual damages (e.g., an immediate, concrete, proven injury or loss, such as the damage arising out of a wilful misconduct that caused a devaluation of trademark) and loss of profit (i.e., the foreseeable earnings, proven with reasonable certainty, that the injured party would have received in the ordinary course of events if the harmful conduct had not occurred). In claims for moral damages, the court will assess the indemnification to be granted to the injured party based on the circumstances of the case and on the indemnification standards adopted by the case law in similar cases. In general, the indemnification must consider the financial capability of the parties and must be reasonable and proportional in relation to the repercussion of the injury in order to avoid the undue enrichment of the injured party. The indemnification for moral damages is generally assessed in court without the need for expert examination. In claims for damages to property (compensatory or actual damages and loss of profit), the injured party has the burden to prove not only the existence of the conduct, but also the tangibility of the loss and its concrete extension. An expert examination is generally conducted during the litigation in order to evidence the damage and its figures – although confirming the occurrence of a harmful act or omission, there will be no indemnification if the expert examination confirms that such act or omission has caused no concrete damage with financial consequences to the injured party. The quantification of the financial loss has proven to be a considerably burdensome procedural phase for the injured party when it comes to claims for compensatory damages and loss of profit, especially in complex cases. In these cases, a comprehensive, accurate expert examination is crucial for the injured party, as it will only be entitled to receive an indemnification if it is able to evidence not only the occurrence of a harmful conduct, but also the actual, concrete damage with financial consequences arising out of such conduct. Should the injured party be able to evidence only the former but not the latter, there will be no indemnification to be paid by the offender to the injured party as compensatory damages or loss of profit. Damage to property (for which a claimant may be entitled to compensatory damages and loss of profit) is generally evidenced by means of expert examinations conducted in the field of knowledge of the matter under scrutiny in each lawsuit. For instance, an engineering examination is needed in cases discussing construction defects on buildings; accountant and economic examination is needed in cases discussing financial loss and loss of profit; medical examination will take place in cases discussing medical malpractice; a chemical composition examination will be demanded in cases discussing defects in the chemical composition of the product; and trademark examination is needed in cases discussing counterfeit. As addressed below in more detail, the expert examination will be conducted by an expert appointed by the court directly, and the parties will be granted the possibility of appointing their experts to assist the court expert in the production of the technical evidence. The expert examination will assess the exact amount of the damage suffered by the injured party, comprehending both the damage arising immediately and directly out of the harmful conduct (actual or compensatory damage) and the earnings that the injured party failed to receive as a result of such conduct (loss of profit). 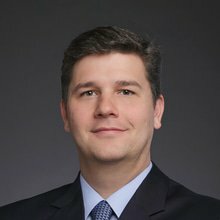 There is no limitation in value for the amount of indemnification in Brazil, as it must correspond to the exact amount of the damage suffered by the injured party, compensating it as if the harmful act had never occurred. Note that there is no law in Brazil authorising punitive damages in addition to compensatory damages or loss of profit, as the amount to be indemnified must correspond to the actual losses suffered by the party. Nevertheless, doctrine has developed a threefold function for the condemnation to pay moral damages, which should concomitantly (1) compensate the victim for the wrongful act that injured its morals and psyche; (2) punish the offender; and (3) prevent the wrongful act from happening again. 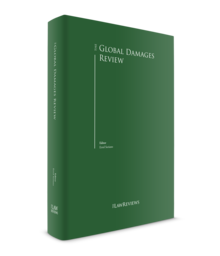 To some extent, although it is still far from the US standards on punitive damages, this interpretation by the Brazilian doctrine ends up functioning as a sort of 'punitive damages' encompassed by the moral damage category. The compensatory damages and loss of profit will be assessed considering the date in which the harmful conduct has occurred. The expert appointed by the court will be granted access to all relevant information and documents of the case in order to prepare an expert report, which will take into account the date of the harmful act, the amount of the indemnification sufficient to fully compensate and hold the injured party harmless, and the interest and inflation that will accrue on the amount of indemnification. Note that the injured party may take several years to file a claim against the offender in view of the applicable statute of limitation period (e.g., three years for torts), resulting in a scenario where the assessment of the damage will occur much later in time in relation to the date on which the harmful conduct actually took place. In such cases, it is important for the injured party to preserve the evidence it has at its disposal in order to be used in the future to substantiate a claim for damages. In order to protect the injured party's interests in the meantime, it may file a precautionary measure against the offender to produce pieces of evidence in advance in order to prevent it from deteriorating. In Brazil, the damage to property that the injured party is entitled to claim compensation for includes (1) the immediate, concrete, actual loss caused by the harmful act or omission (actual or compensatory damages), and (2) loss of profit or revenue, defined as the earnings that the injured party would reasonably and probably have received if the harmful act or omission had not occurred – in this case, the injured party must objectively evidence the high probability of receiving the earnings as a result of the ordinary course of events, as it would be expected without the harmful conduct committed by the offender. Depending on the underlying matter and on the commercial activities of the parties, the indemnification for loss of profit (e.g., loss of operating revenue) can reach much more substantial figures than those assessed to compensate the actual damage immediately arising from the same harmful conduct. Under Brazilian law, only direct damage – those suffered by the injured party and that have a direct, immediate and close chain of causation with the harmful conduct – are subject to indemnification. Indirect damage is not indemnifiable, as only the party directly affected would have standing to sue. For instance, court precedents usually hold that the mere devaluation of shares or decrease in dividends arising out of the fraudulent conduct of senior managers causes only indirect damage to shareholders, as the directly harmed party would be the company itself – therefore, in this case, the company, and not the shareholders acting by themselves, would be the entity with standing to claim such loss. The assessment of compensatory damages and loss of profit will ordinarily take into account the pieces of evidence produced by the parties, the underlying facts and economic outcome of the harmful conduct. The methodology of assessment in each case, however, may differ in view of the underlying matter, type of contract and circumstance of the harmful act or contractual breach. In most of the cases, the methodology will be related to economic, accountant, environmental, engineering and medical assessments. For example, company A hires company B to perform the construction of a certain facility to produce an important product of its portfolio. In view of company B's complete default towards the contract, company A will be entitled to claim for (1) reimbursement of the expenses it incurred to hire a third company to perform the construction, and (2) the loss of profit it suffered due to a delay in producing the goods. In this hypothetical case, the assessment of the damage will take into account the actual amount that company A has spent and paid to third parties to remediate company B's default (accountant examination) and the foreseeable, reasonable gains that company A would have obtained if it had started producing the goods within the expected time (economic and accountant examination). As a general rule, there is no limitation in value for the amount of indemnification for compensatory damages and loss of profit, as it must correspond to the exact amount of losses suffered by the injured party, compensating it as if the harmful act had never occurred (Brazilian Civil Code, Article 945). When assessing the losses, the expert may take into account certain circumstances of the case, such as parties' concurrent default, plaintiff's negligence, economic environment aggravating the loss, etc., which must be evidenced by the parties during the lawsuit. The amount of indemnification resulting from moral damage or damage to property (compensatory damages and loss of profit) will be assessed by the court in Brazilian reais. If the claim is based on a contractual breach, the amount of the indemnification assessed by the court-appointed expert will accrue interest counted from the date on which the defendant was served with process, as well as inflation from the date of the decision confirming the amount of the indemnification or from the date of the contractual breach, depending on the underlying discussion. On the other hand, if the claim is based on a civil wrong arising from an act or omission independently of a contract (tort), the indemnification amount will accrue interest counted from the date of the harmful conduct, and will be subject to inflation from the date of the decision confirming the amount of the indemnification. The Brazilian Civil Code, Article 406,4 sets forth that, when the parties have not agreed on the default interest, it will be calculated considering the same index accruing over defaulted taxes payable to the National Treasury. There is a discussion on whether the index to be considered for the purpose of Article 406 would be the Special Settlement and Custody System (SELIC), which already comprehends interest and inflation and is decided by the Monetary Policy Committee, or 1 per cent per month, which may be coupled with inflation. The Superior Court of Justice has ruled that, unless the decision expressly decides otherwise, the SELIC index will be considered for the purpose of Article 406 of the Brazilian Civil Code. However, the courts in Brazil have ordinarily ruled that the interest should be set at the threshold of 1 per cent per month plus inflation – in these cases, because there was an express court decision on the matter, the 1 per cent interest rate would prevail over the SELIC index for that specific case. The fees and expenses involved in the production of expert examination aiming to assessing damage to property (to claim compensatory damages and loss of profit) may vary depending on the scope and complexity of the assessment. As a general rule, each party will pay the fees of the assistant expert they have appointed, whereas the fees of the court-appointed expert will be paid by the party that has requested the expert investigation, or else shared when the expert investigation is ordered ex officio by the court or requested by both parties (Brazilian Code of Civil Procedure, Article 95). The defeated party will be ordered to reimburse such costs to the winning party. Amounts paid to the injured party as moral damages or damages to property are generally not subject to income tax, as they do not represent a gain, but merely compensate the losses suffered by the injured party. However, a specific analysis may be needed to confirm the incidence of any other tax over the amount of the indemnification, in view of the circumstances of each case and of the companies and individuals involved. The Brazilian Code of Civil Procedures (Federal Law No. 13,105/2015) sets forth general provisions on evidentiary phase in civil lawsuits. Each party has the burden to prove its own allegations and claims through any sort of evidence available, such as documents, expert examination, witnesses and depositions (Code of Civil Procedures, Articles 369 and 373). When it comes to expert evidence, the court may confirm the need of producing the expert examination depending on the facts, claims and circumstances of each case. The expert examination may be denied if (1) the confirmation of the fact does not depend on specific technical knowledge, (2) it is unnecessary in view of other pieces of evidence already produced, especially documents, and (3) the production of expert examination is impracticable. 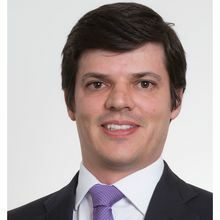 Unlike other jurisdictions, the Brazilian legislation does not provide for a broad discovery of documents allowing the party to oblige its opponent to disclose a vast number of documents and information as evidence in the litigation. Normally, the parties must rely on their own pieces of evidence, use them to substantiate the claims raised in the lawsuit and, then, submit such evidence to scrutiny by the counterparty and by the court (adversarial principle). However, if a certain document is necessary for the expert examination, the court may order the party to disclose it in court. In order to substantiate this request for disclosure, the party must satisfy certain legal requirements – such as to evidence that it does not have access to all relevant documents needed to prove its injury, to evidence with a high level of certainty that the documents exist, are in possession of the counterparty or third party, as well as the purpose of the document and their relevance for the matter under scrutiny. When it comes to lawsuits involving damages, the evidentiary phase is a necessary step for a decision on the merits. As the Brazilian Civil Code links the duty to indemnify to the proof of fault or wrongful misconduct, as well as to the extension of the damages, the plaintiff shall produce all pieces of evidence needed to confirm the concrete occurrence of the damage and its actual extension in order to obtain a favourable decision on the merits. It is technically possible for the plaintiff to allege that an illegal act performed by the defendant has caused losses (i.e., evidencing, at least with minimal grounds, that the losses it is claiming indemnification for actually occurred and caused concrete damage), but stating that the extent or amount of such losses will be assessed during the expert examination phase or after the res judicata through a liquidation phase. In other words, the plaintiff must evidence that such losses have occurred concretely and have caused or are causing damage, but the work of experts appointed by the court is needed to confirm the exact extent of the losses. Considering the factual background of the dispute, and given the fact that the evidence is directed to the judge's scrutiny, the judge is empowered to delineate the elements of the case and to determine, independently of parties' request, which pieces of evidence should be produced in order to enable the rendering of a decision on the merits (Code of Civil Procedures, Article 370). In other words, as the judge is the final addressee of the evidence and has the duty to review it in order to issue a decision, he or she must order the evidentiary phase. The judge also has discretion to analyse the pieces of evidence attached to the case files to confirm whether additional pieces of evidence are necessary for a more accurate decision on the merits. The pieces of evidence to be produced in suits for damages would depend on a case-by-case review, as the factual background of the dispute is relevant for the definition of the award and indemnification values. There is no restriction on the types of evidence to be produced in a civil lawsuit. Although the Code of Civil Procedures contains indication of certain types of evidence that may be produced (i.e., documents, expert examination and witnesses) the list is considered merely indicative, allowing the parties to request the production of other pieces of evidence, provided that they are not illegal or against the moral standards. There are specific provisions to be followed in the evidentiary phase. For instance, the parties are obliged to present with the complaint and with the defence all documents related to their allegations and claims. New documents may be attached to the case files in response to other party's allegation or in case the party is able to evidence that a document was not available or did not exist by the time of the filing of the complaint or defence. As a general rule, each party is equally obliged to prove its own allegations and claims raised in the complaint and in the defence. In exceptional cases, the court may impose on the counterparty the burden to produce certain pieces of evidence important for the matter under scrutiny, dynamically allocating the burden of proof among the parties. For instance, in view of the peculiarities of the lawsuit, this inversion on the burden of proof may occur when (1) the party originally obliged to produce the evidence in court cannot do so, or (2) one of the parties has more ready access to the evidence. Such decision shall be properly justified and the inversion cannot take place in cases where the imposition results in an obligation impossible to be complied with (Code of Civil Procedures, Article 373, Sections 1 and 2). This dynamic distribution of the burden of proof may also be agreed by the parties, before or during the lawsuit, as the Code of Civil Procedures allows the parties to allocate the burden of proof by themselves, except in cases of inalienable rights or when the exercise of a right by one of the parties may become extremely difficult. If the court confirms the need to produce an expert examination, considering the facts, claims and circumstances of the case, it will appoint an expert with technical knowledge and expertise on the matter to conduct the examination. At the same time, the court will summon the parties to appoint their own experts to assist in the works and to submit queries to the expert in order to guide the technical examination. Like the judge himself or herself, the court-appointed expert must be an independent and impartial character in the lawsuit, solely intended to guide the judge in the analysis of the technical aspects of the underlying matter. Thus, the court-appointed expert will have the same duty of impartiality and independence and will be subject to the same rules of impediment, bias and disqualification that apply to judges (Code of Civil Procedures, Article 465, Section 1, I). The expert assistants appointed by the parties, on the other hand, are not subject to the duty of impartiality – they will represent the parties and their counsels, from a technical point of view, in supervising and assisting the production of evidence. The expert is generally appointed by the judge from a list of names of people enrolled in the courts' registries. The Code of Civil Procedures, however, allows the parties the possibility of agreeing on names (on a single name or on a list of names) of experts to be possibly appointed by the court. This possibility is especially important in high-profile, complex cases, where parties would be able to suggest renowned names with profound expertise and background in the field of knowledge needed to an accurate solution of the matters under scrutiny. Note, however, that the judge is not bound to the parties' joint submission of name. Even if the judge agrees and confirms one of the names jointly submitted by the parties, this expert will be appointed by the court and, therefore, will be subject to the duty of impartiality. The parties are allowed to challenge the expert's credentials within 15 business days counted from court appointment. In this sense, the parties will be able to sustain not only that the court-appointed expert does not have the necessary technical expertise to perform the technical examination, considering the field of knowledge demanded by the facts, claims and circumstances of the case, but also submit requests and present pieces of evidence to disqualify the expert owing to impediment and bias. The court will decide on the parties' challenges to the court-appointed expert (Code of Civil Procedures, Articles 465, Section 1, I, and 468, I and II). The parties are allowed to produce any type of piece of evidence to prove their claims and allegations, as long as the intended evidence is not illegal or against moral standards. The same applies to novel science and methods: the party may request the use of novel science and methods in order to prove its claims and allegations. The court will decide whether the method may be used, considering the underlying facts and the circumstances of the case. The court-appointed expert will submit a written report containing at least (1) a summary of the technical aspects of the case, (2) the analysis conducted with the help of the parties' expert assistants, (3) the indication of the method used in the examination, (4) the responses to the parties' queries, and (5) the conclusion on the technical matters under discussion. The parties and their expert assistants will be able to scrutinise the court-appointed expert's report, agreeing or disagreeing with it, totally or partially, or to request clarification or additional analysis, submitting additional queries to complement certain incomplete or inaccurate aspects of the examination. The party may also request the court to summon the court-appointed expert to attend a hearing in order to clarify some aspects of the technical examination. In this case, the parties must submit questions intended to be answered by the expert in such hearing. In cases of low complexity, instead of ordering the production of a thorough expert examination, the court may just question (orally) a professional with expertise on the matter in order to obtain information and clarification needed for the merits of the case (Code of Civil Procedures, Article 464, Section 4 and 5). The general requirements for imposition of the duty to redress damage (fault or misconduct, chain of causation and damage), as well as the extension of the damage, are the main matters under dispute in cases involving a claim for damages. Even though the case law has been developing on the matter since 1916, with the revoked Civil Code, the disputes involving claims for damages, especially when it comes to the legal requirements for assessing the indemnification, remains challenging. 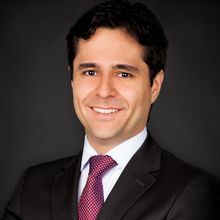 1 Alexandre Outeda Jorge is a partner, and Eduardo de Campos Ferreira and Eider Avelino Silva are senior associates at Pinheiro Neto Advogados. 2 AgInt nos EDcl no AREsp 1049346/GO, Superior Court of Justice. 3 SEC 11969/EX, Superior Court of Justice. 4 Brazilian Civil Code, Article 406: When there have been no contractual provisions on default interest, or if no rate has been stipulated for default interest, or when default interest arises from legal determination, it shall be set at the rate then accruing on past-due tax obligations payable to the National Treasury. 5 Special Appeal 1.309.972/SP, 4th Chamber, Reporting Justice Luis Felipe Salomão, decided on 27 April 2017. 6 Special Appeal 279.273/SP, 3rd Chamber, Reporting Justice Nancy Andrighi, decided on 4 December 2003. 7 Special Appeal 1.309.972/SP, 3rd Chamber, Reporting Justice Nancy Andrighi, decided on 6 April 2017.